Trump also won 194 of the 207 counties that voted for Obama either in 2008 or 2012. National Public Radio also mentioned how Democrats’ complacency in their big city approach could leave them out in the cold. After 2016, that’s become a reality. That’s not an undereducated electorate Ms. Davis; it’s working people saying too long the Democrats have abandoned us, we’re mocked incessantly by the elites in the big city bubbles, and we’ve just overturned the table. It’s time for a new contract—and if Trump isn’t it, we’ll throw him out too. Also, let’s be shy to say this: Clinton was a terrible candidate who just couldn’t resonate with a large swath of voters, much like Romney. Also, I can save y’all a lot of time with what she said next. She hasn’t made a decision about challenging Sen. Ted Cruz in 2018. Right, because she’ll lose badly. Barring a massive alien invasion or an asteroid strike, Cruz will probably be safe. 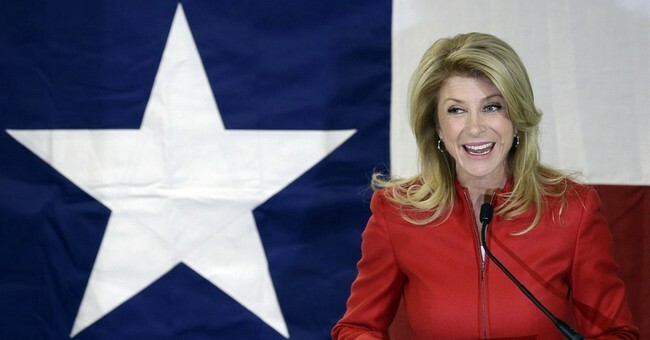 Even if she’s appointed somewhere in the Trump Administration, Abbott will pick a GOP replacement and even that person is going to be safe from the underwhelming aura that is Wendy Davis.